24 photos taken in 2015 at the Russian Air Force Museum at Monino, Moscow. 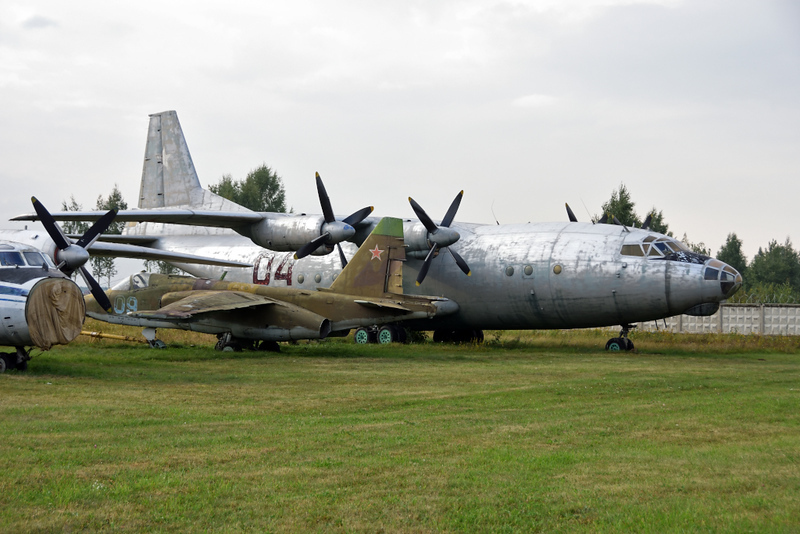 Antonov An-12 04 black, Russian Air Force Museum, Monino, Moscow, 27 August 2015. In front is Sukhoi Su-25 09 blue.